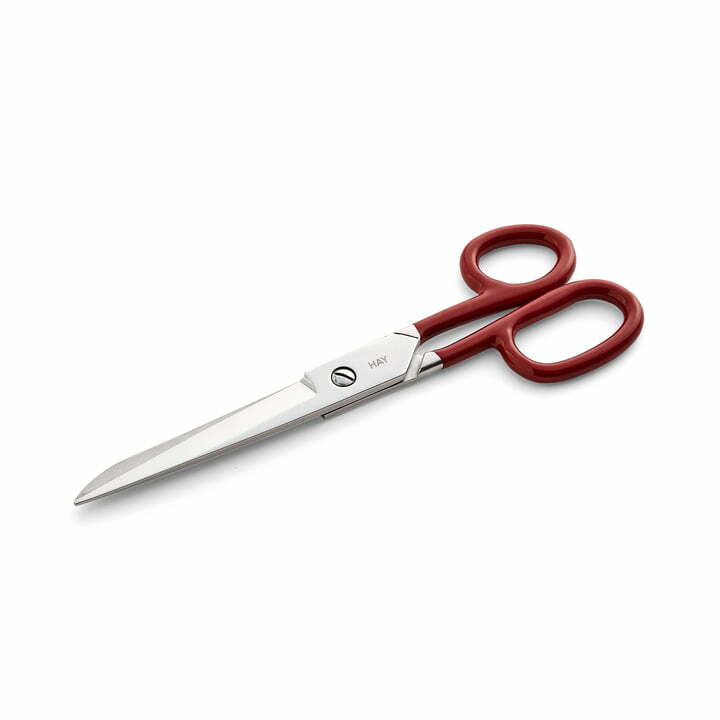 The Grip scissors by Hay is a versatile everyday object that does not have to be hidden in the drawer. 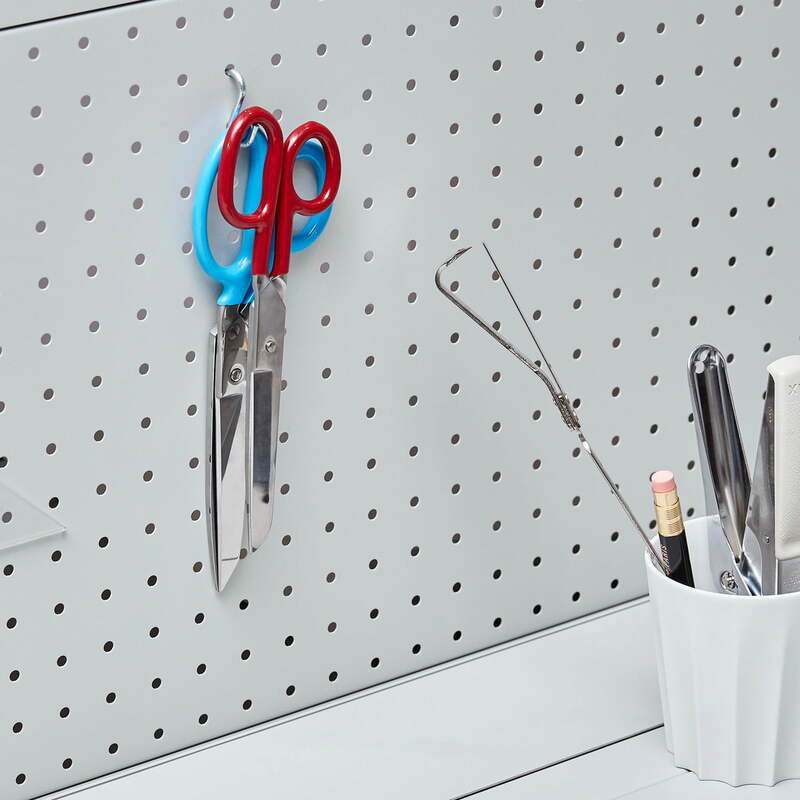 Thanks to the handles of various colours, the scissors brighten up any environment and can have a decorative purpose when hung on a hook in the kitchen or on the desk. Thanks to the rubber coating on the handle, the scissors have a special grip and fit perfectly in the hand. The differently-sized eyes of the scissors are ergonomically adapted to the shape of the hand and ensure comfort when cutting. 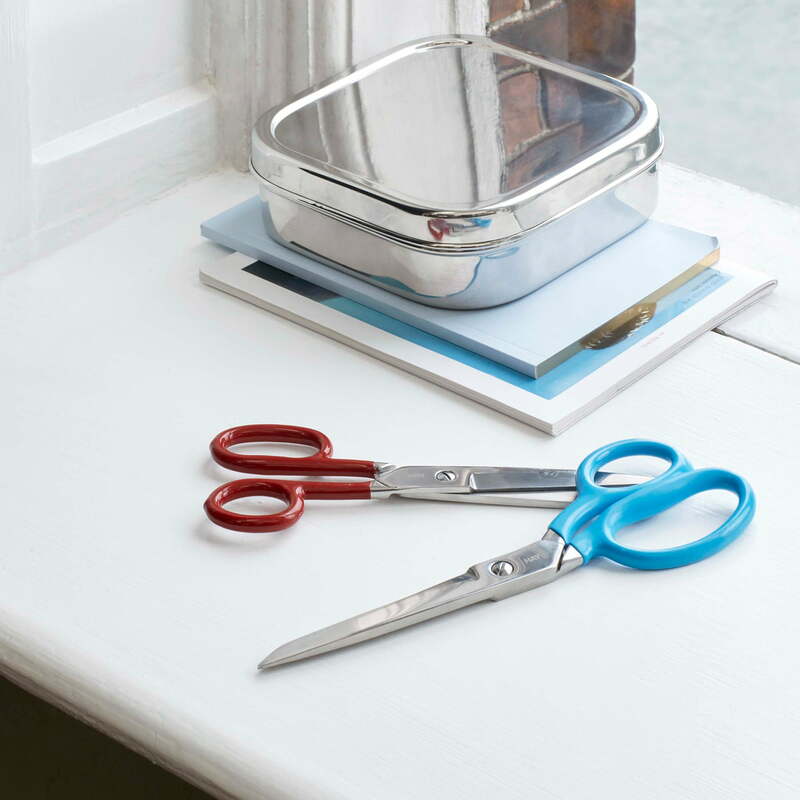 The Grip scissors serve in everyday life and are suitable for the office, for handwork or for arts and crafts with the kids. In the kitchen, they are perfect to open packets or cut herbs. Available in two different sizes, they are guaranteed to fit both small and large hands. Isolated product image of the Hay - grip scissors M. The different sized eyes of the scissors are ergonomically adapted to the shape of the hand and ensure comfort when cutting. 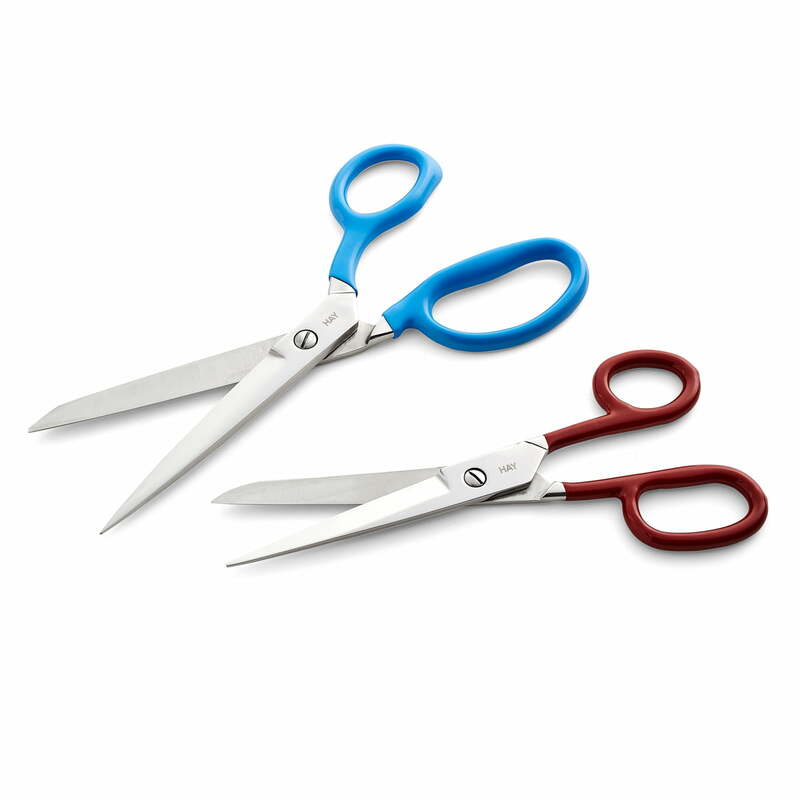 Group product image of the Hay - Grip scissors M, red / L scissors, blue. The Grip scissors features a rubber handle, which as the name suggests, provides a firm grip. Lifestyle product image of the Hay - Grip scissors M, red and L, blue. Available in two different sizes, they are guaranteed to fit both small and large hands. Lifestyle product image of the Hay - Grip scissors M, red and L, blue. The Grip scissors are available in various colours and instantly bring character to any environment thanks to their colourful design.